Peru remains a dream destination for many because it holds a lot of mysticism; people simply want to see the home of an extinct but once powerful and glorious Inca civilisation. But Peru also offers an abundance of natural views that will simply take your breath away, and there is usually more than one way to experience and travel through Peru and of course its major sites such as Machu Picchu. The Inca Trail to Machu Picchu is one of South America’s and possibly one of the world’s most famous hikes and journeys. This historical trail was modelled on the original trip that the explorer Hiram Binham took to discover the hidden ruins back in 1911 on a journey that took about 4 days from Cuczo. 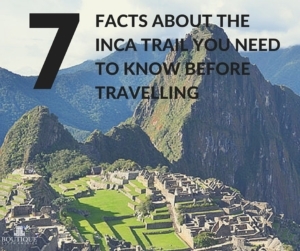 If you’re thinking of joining the Inca Trail hike for a full body experience of the journey to Machu Picchu, here are 7 facts about the Inca Trail that you and all other travellers need to know so you can adequately prepare for it. 1. How long is the Inca Trail? 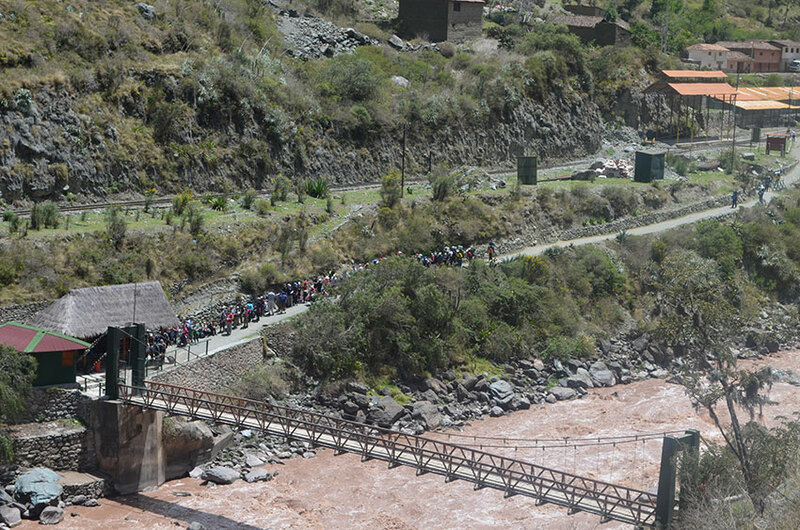 The traditional or Classic Inca Trail trek is 82 kilometres long and it will take you four days to complete. Therefore, if you’d never done much mountain climbing, hiking and camping before, it is recommended that you train and get in shape before heading to Peru. In this 82-kilometre hike, you will go up to the mountain passing the Inca ruins of Llactapata, Runkurakay, Sayacmarca, Phuyupatamarca and Wiñay Wayna before finally reaching your final destination, Machu Picchu, on the fourth and last day of the trek. On the majority of Inca Trail tours, you will return to Cuzco by train on the fourth day however some will provide you the option to stay overnight in Aguas Calientes ( the town below Machu Picchu) so you can relax with a hot shower and return to Cuzco on the following day. 2. How high do you climb on the Inca Trek? The Inca Trail is considered a challenging expedition not just for the fact that you are trekking for 4 days but also that you are trekking in a high altitude region. Travellers are advised to give themselves two days in Cuzco prior to starting the trek to help acclimatise and reduce the chances of altitude sickness. 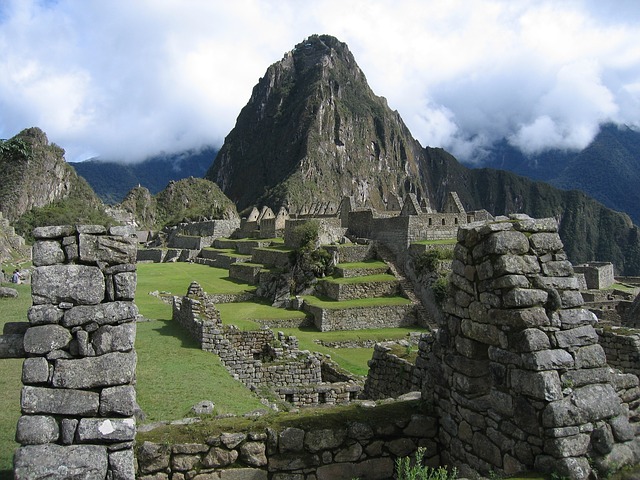 The highest point that you will reach on the Inca Trek is at 4,224.53 metres or 13,860 feet. Altitude Sickness can cause headache, nausea, loss of appetite, difficulty in sleeping and lack of energy. There are prescription medications that can help with the side effects as well as local remedies, such as chewing the coca leaf. 3. Can anyone do the Inca Trail? Entrance to the legendary Inca road is tightly controlled by Peruvian tourist authorities to protect the traditional unpaved trail and protect the surrounding environment so despite the popularity of the Inca Trail, it remains a privilege to take this journey to Machu Picchu. You must pre-purchase an Inca Trail permit (normally your tour company takes care of this as part of their program) and permits are capped to only 500 people per day. Not with 500 figure is also inclusive of the cooks, porters and guides that will usually travel with you, so in reality there less spaces open for travellers looking to complete this once in a lifetime adventure. 4. 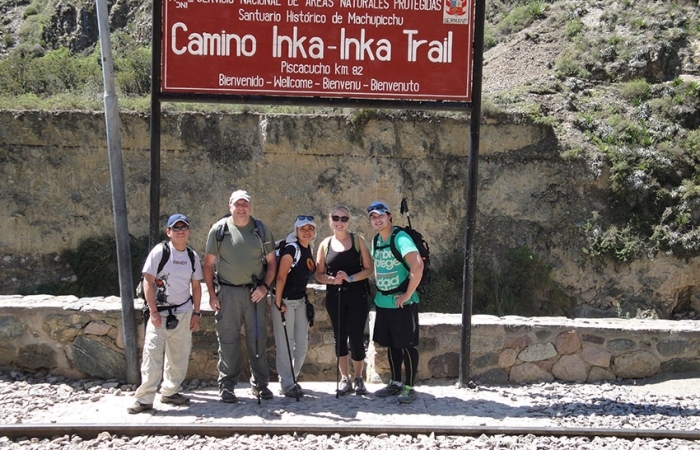 Is the Inca Trail open all year round? No, the Inca Trail is closed in February as this period is part of the rainy season which can make the trails difficult to access and to make way for maintenance. 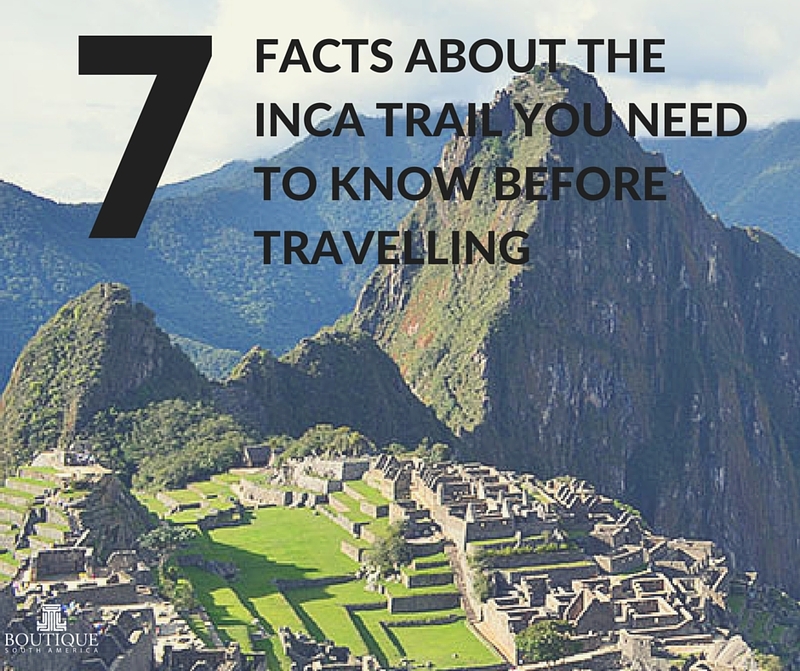 5.What is the best time to travel the Inca Trail? Travelling in Peru’s Andean region generally brings with it two distinct seasons, the wet season between November to Mach and the dry season between April to October. The dry season is better but as it is winter for many other parts of South America, there are generally less travellers around this time. It is still possible to trek during the rainy season, but be prepared for some intermittent showers. 6. Does the trek have to be 4 days long? Because there are such limited spaces for the classic Inca Trek, there are many alternative treks around however the main difference apart from the route taken to reach the ruins is that only the Inca Trail allows travellers to finish and enter the ruins through the Sun Gate. There is however a shorter version for the Classic Inca Trail trek that usually lasts for 2 days and often includes a night at a hotel instead of camping. This shorter option is ideal for travellers who want a challenge to reach macho Picchu but have less time or those that don’t want to camp like on the traditional trek. *Please note that the short Inca Trail is subject to the same permit restrictions as the regular trail. 7. When should I book to travel on the Inca Trail? Considering the popularity of travelling to Peru and Machu Picchu and some of the restrictions of numbers on the Inca Trail, booking in advance is a must because the tours sell out really fast. Often permits for the trek sell out up to 6 months in advance so if you don’t want to miss out, start booking your holiday early. Is South America Safe for Travellers?